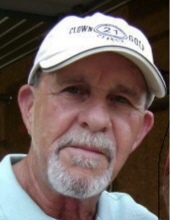 William Gary Henry, of Marshfield, MO, passed away Friday, March 22, 2019 at the age of 71. He was born on January 28, 1948 in Waynesville, MO to William Elmer Henry, Jr. and Mary Madeline (Gilliam) Henry. He was preceded in death by his father on January 10, 2009. Gary attended Rolla schools and college at Missouri State. He started the AAU girl’s basketball program. He loved everything to do with sports! He was an avid golfer and was the Missouri Senior Golf Tour Champion two years in a row. Gary was a very devoted, wonderful and loving son, father, father-in-law, pa-pa, brother and friend to many. Everyone that knew him will miss his huge smile and witty sense of humor. He will be greatly missed by everyone he touched in life. The surviving family of Gary Henry includes: his mother, Madeline Henry of Rolla; a son, Jeff Henry and wife Julie of Seymour, MO; two daughters, Shannon Broyles of Marshfield, MO and Nikki Cepicky and husband Matt of Eureka, MO; four brothers, Don Henry and wife Susan of Vichy, MO, John Henry and wife Bonnie of Rogers, AR, Larry Henry and wife Judy of Camdenton, MO and Pat Henry of Rolla; one sister, Linda Schweiss and husband Ron of Rolla; five grandchildren, Karli Henry, Callyn Broyles, Micah Broyles, Riley Cepicky and Emerson Cepicky; his children’s mother, Patricia Henry; and a host of nieces, nephews, cousins and many, many friends. A funeral service for Gary Henry will be conducted at 2 p.m. on Sunday, March 31, 2019 at the Null and Son Funeral Home in Rolla. A visitation for family and friends will be held from 6-8 p.m. on Saturday, March 30 at the funeral home. Memorial contributions are suggested to the American Heart Association. To send flowers or a remembrance gift to the family of William Gary Henry, please visit our Tribute Store. "Email Address" would like to share the life celebration of William Gary Henry. Click on the "link" to go to share a favorite memory or leave a condolence message for the family.